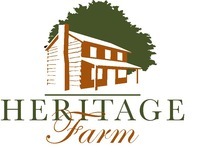 Merry Christmas from Heritage Farm! We invite you to a Country Christmas Open House where Heritage Farm will present our 2018 selection of fine sweaters, blankets, teddy bears, toys, socks, hats, gloves, mittens and alpaca fiber and yarn. Stop by to browse a wonderful selection of soft and luxurious alpaca products and enjoy some light refreshments. If you cannot attend, we invite you to shop our online store.